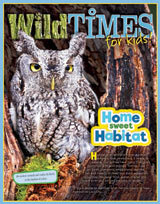 Read WILD TIMES for Kids magazines! 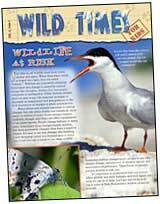 We've got lots of fun stuff for you to do, like games and quizzes, plus amazing wildlife stories and facts. 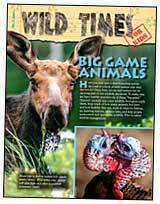 Just print them out -- and have fun learning about New Hampshire's wildlife! 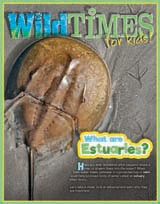 NH Educators: If you would like classroom quantities of the current issue for your students, please contact us. 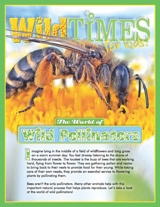 Bees and other beneficial insect pollinators are in decline throughout the world. Learn about how habitat changes, chemicals, and other stressors affect these populations. Although wildlife is all around, we are lucky when we have a chance to see it. 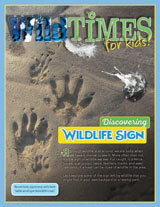 We'll explore some of the sign left by wildlife that you might find in your own backyard or a nearby park. Have you ever wondered what happens where a river or stream flows into the ocean?. Crabby's crossword puzzle included. 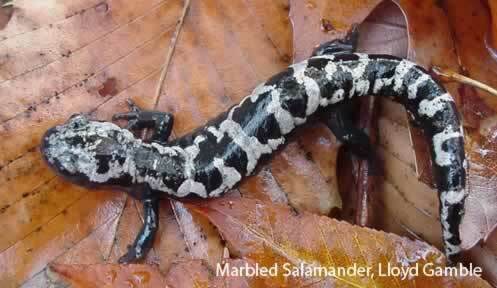 A look at several NH animals with complex life cycles. Life cycle crossword puzzle. 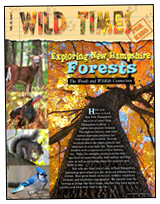 Forests: Exploring NH forests; The woods and wildlife connection; Forest communities; Name That Tree (dichotomous key); How Tall Is That Tree? Activity. EDUCATORS: download the Teacher Activity Guide. 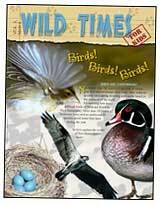 Wildlife on the Brink: Learn about threatened wildlife like bats, bald eagles and New England cottontails. 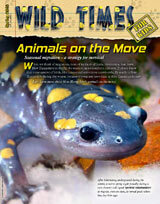 Animals on the Move: Let’s learn more about NH’s animals on the move! 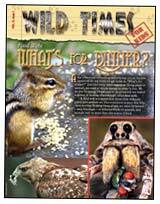 Getting Ready for Winter: Just as we get ready for winter, wildlife does, too. 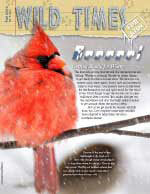 Explore some ways wildlife has evolved to survive northern winters. EDUCATORS: download the Teacher Activity Guide. 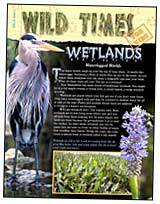 Wetlands: Waterlogged worlds; Wetlands at work; Squishy, spongy bogs; Dragons & damsels; Wetlands word game. EDUCATORS: download the Teacher Activity Guide. 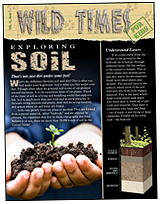 Soil: The layers of dirt under your feet are full of life forms. Explore the creepy, crawly life in the soil. Compare soil textures. 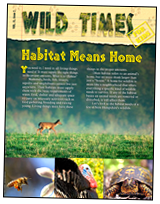 Habitat Means Home: Habitat needs through the seasons; Wildlife research: Unlocking the mysteries of wildlife; Habitat Sweet Habitat Word Search. EDUCATORS: download the Teacher Activity Guide. Fin-tastic! 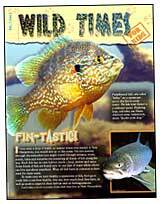 : Brook trout; Chain pickerel; Anatomy of a fish; Yellow perch; Smallmouth bass; Blacknose dace; What is a Fish Hatchery? ; Let's Go Fishing! ; Fun puzzle to do: Know Your Fish game. Amazing Insects: Anatomy of an insect; Insect life cycles; Insect roles; Insect ID cards;"Nymphs to adults" morph matching game. 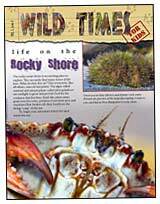 Life on the Rocky Shore: Rise and fall of tides; In the zone; tidepools; Aiens on our shores; Crustie's crazy crossword. EDUCATORS: download the Teacher Activity Guide. 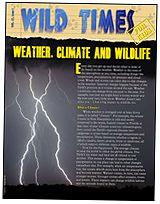 Weather, Climate and Wildlife: Explore climate and how it affects wildlife; learn about cloud watching. Snowflake activity. EDUCATORS: download the Teacher Activity Guide. 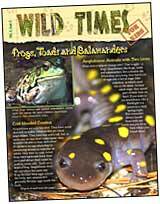 Frogs, Toads and Salamanders: Amphibians: Animals with two lives ~ Tune in to frog calls, Salamanders and newts, Amphibian life cycle, Maze and math teasers. EDUCATORS: download the Teacher Activity Guide. 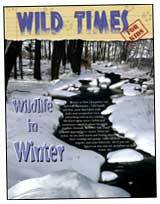 Wildlife in Winter: Track patterns, Winter camouflage game, Hibernation maze. 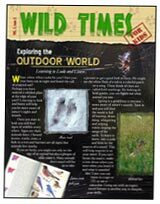 Exploring the Outdoor World: Life in a vernal pool, Timberdoodle, Wildlife Challenge, Animal bingo. 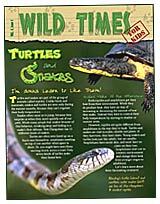 Turtles and Snakes: I'm gonna learn to like them! ~ Wildlife collector cards ~ "Name That Reptile" game. EDUCATORS: download the Teacher Activity Guide. Birds! Birds! Birds! : What birds will I see in New Hampshire? What makes a bird a bird? Migration Madness puzzle. EDUCATORS: download the Teacher Activity Guide. 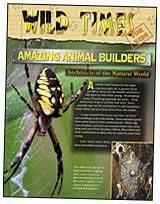 Amazing Animal Builders: Architects of the natural world: Nature's engineer, the beaver; The fine art of nesting; Insect structures; Building for bats. EDUCATORS: download the Teacher Activity Guide. 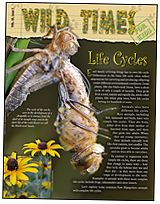 Here Today, Gone Tomorrow: Endangered and threatened species, Pine barrens/Karner Blue Butterfly, Wildlife math teasers. 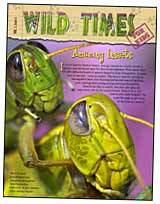 Surviving in a Wild World: Wildlife adaptation, Camouflage, Wildlife collector cards and more. EDUCATORS: download the Teacher Activity Guide. 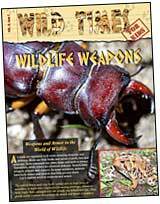 Wildlife Weapons: Weapons and armor in the world of wildlife; Wildlife warriors; Wildlife war games; fun puzzle to do: Warrior word search. 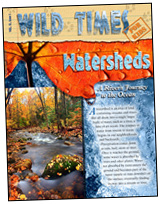 Watersheds: A river's journey to the ocean; NH's watersheds; Downstream journey; How much water is on Earth? ; More About Water Activity. EDUCATORS: download the Teacher Activity Guide. 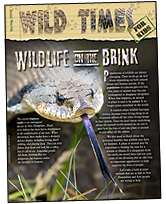 Wildlife at Risk: American marten; Bicknell's thrush; White Mountain fritillary; Canada lynx; Eastern hognose snake; Blue-spotted salamander; Biodiversity is important; Wildlife word search. EDUCATORS: download the Teacher Activity Guide. 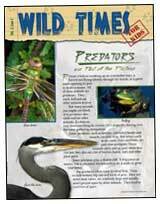 Predators: Food chain game, Wildlife collector cards, Spider maze. Big game animals: White-tailed deer; black bear; moose; wild turkey; why do people hunt? 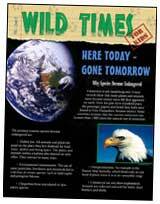 ; who pays for wildlife management? ; Checks and Balances game. EDUCATORS: download the Teacher Activity Guide. 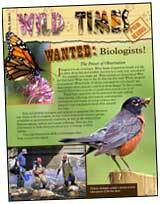 Wanted: Biologists! The power of observation; Investigating your schoolyard; What grows here? 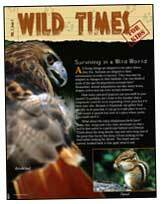 ; Finding wildlife evidence; What is a field journal? ; Start your own field journal. EDUCATORS: download the Teacher Activity Guide. 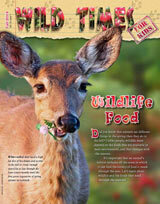 Learn about wildlife and the foods they need through the seasons! Food Webs: What's for dinner? ; The web of life connection activity; Pyramid of energy; Food web word quiz. EDUCATORS: download the Teacher Activity Guide. 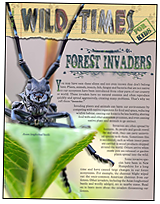 Forest Invaders: Alien plants and animals are harming our forests.Check out New Hampshire's Most Wanted" list. Invasive species word game.